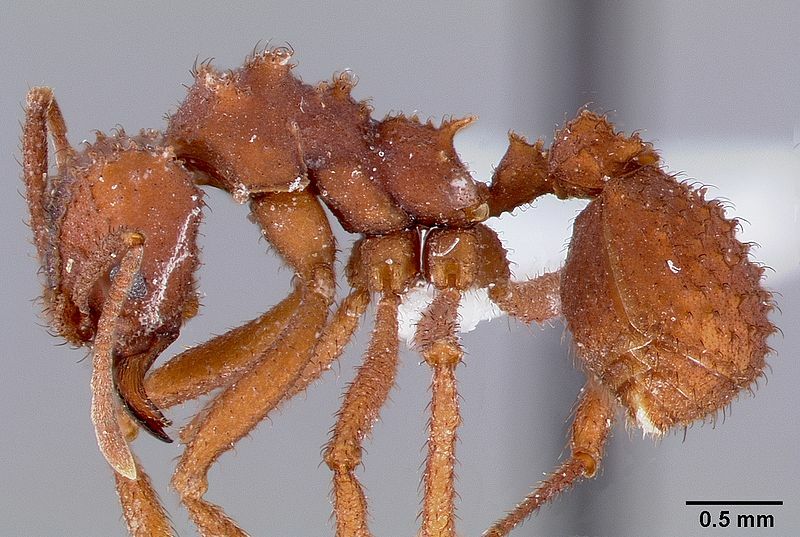 The ant of the week is one of those amazing ants not many people get to see. You can probably tell right away that this worker is a leafcutter in the tribe Attini because of the spines and spikes. Ants in the genus Trachymyrmex grow a fungus garden like other attines, although they are much more likely to collect plant debris from the ground for their gardens than actually cut fresh leaves. They are the original composters. The bumps, called “tubercules,” are characteristic of the group. Trachymyrmex arizonensis is known for the prominent tubercules on the first tergite of the gaster, as well as by the shape of the carinae (ridges on the front of the head). (See Rhabling, et. al. 2007). Unlike the spectacular polymorphism of Atta leafcutters, the workers are mostly monomorphic in Trachymyrmex. Several species, including Trachymyrmex arizonensis, live in southeastern Arizona in the more mountainous regions. 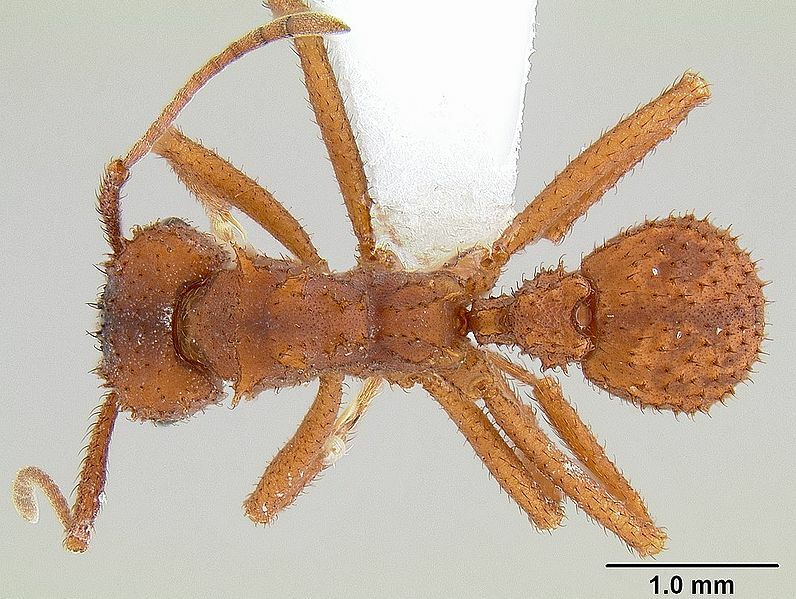 All members of Trachymyrmex are found in the New World. Does anyone have a colony of these ants? Anyone working on Trachymyrmex? I would love to learn more about them. C. Rabeling, S. P. Cover, R. A. Johnson, and U. G. Mueller. 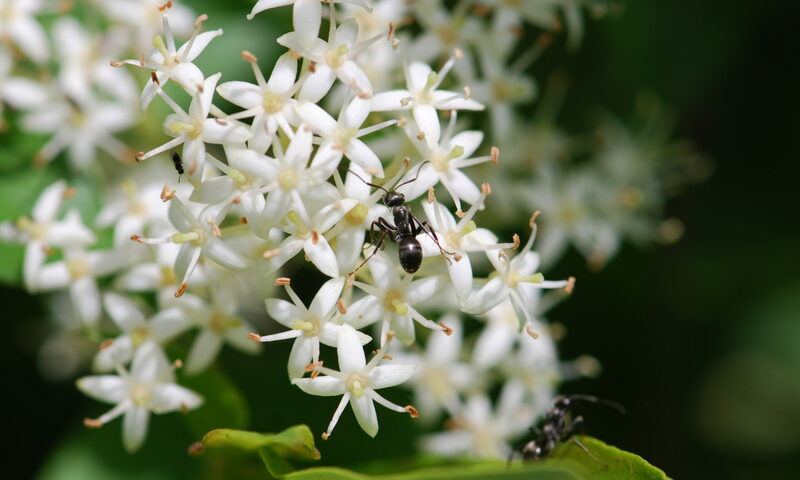 (2007) A review of the North American species of the fungus-gardening ant genus Trachymyrmex (Hymenoptera: Formicidae). Zootaxa. 1664: 1–53. There is a link to a free .pdf in this list of publications. (Encyclopedia of Life also has the key). Dale Ward has a nice series of photographs with captions at Ants of the Southwestern United States. Alex Wild of Myrmecos also has a number of photographs, including one of a tiny species, Pyramica arizonica, that lives in the nests. Next PostNext Will Queens Accept Cocoons From Other Colonies?